The NCGC grants included three PhD projects, of which two are now completed. The theses will be available on duo.uio.no when all results have been published in scientific journals. Our PhD in health economy is not yet finished. 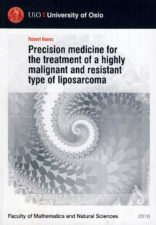 MSc Robert Hanes at the Dept of Tumour Biology, Institute for cancer Research (OUS – Radiumhospitalet) defended his thesis “Precision medicine for the treatment of a highly malignant and resistant type of liposarcoma” 25/1-18. 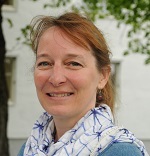 Opponents were Dr. Sandra Strauss, University College London (UCL) Cancer Institute, London, Group leader Antoni Wiedlocha, Oslo University Hospital, and Professor emeritus Tom Kristensen, University of Oslo. 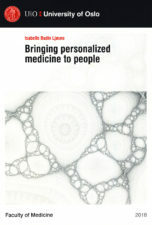 MA Isabelle Sylvie Budin Ljøsne at the Institute for Healthe and Society (UiO) defended her PhD thesis “Bringing personalized medicine to people” 27/4-18. Opponents were Dr. Eric Meslin, President and CEO, Council of Canadian Academies, Professor Effy Vayena, Institute of Translational Medicine, Eidgenössische Technische Hochschule (ETH) Zürich, and Professor Emeritus Gerd Holmboe-Ottesen, Institutt for helse og samfunn, Universitetet i Oslo.